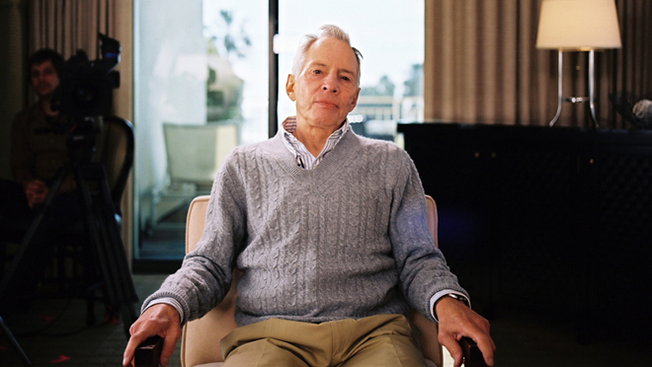 Producer-director Andrew Jarecki says he continues to follow the subject of his most celebrated project, The Jinx, but he's not sure what a follow-up might look like. The 2015 HBO true-crime docuseries concluded in stunning fashion when Robert Durst, the black sheep of a high-powered New York real-estate family, effectively confessed to a series of murders. After pleading guilty to felony gun charges this month, Durst will be transferred to Los Angeles to stand trial for the murder of Susan Berman, one of the three victims chronicled in the HBO series. Adweek caught up with Jarecki after his keynote Friday afternoon at Social Media Week in New York where the director discussed his plans for following Durst's trial and his take on Netflix's Making a Murderer. Adweek: How much are you planning to follow Durst's trial? Are you planning a follow-up to The Jinx? Andrew Jarecki: I don't have a concrete plan, but we're always filming stuff; we're always following up on stories. We're still trying to capture things that are happening. So at least we have the option on making something if it's interesting. How do you see Durst's trial playing out? I think he'll get convicted of murdering [Susan Berman], but there's no guarantee. He's got extraordinarily good lawyers and a lot of them. He's got $100 million. He's old, and he doesn't have any heirs. I think he's going to spend $20 million on the trial no matter what. I think everybody is perfectly happy to relieve him of that burden. Did you watch Netflix's Making a Murderer? What was your take on that? It was really watchable, but at the end of the day, I was left with a terrible feeling that I've not been shown an alternative version of the crime. They were saying it could have been these four people, but I'm like, if you worked on this for 10 years, I need to know that there's another plausible person that could have done it. Leaving that out was troubling for me. I want to believe Steven Avery is innocent because he was so mistreated by the justice system, but I also need to know there's some solution in here. Otherwise, what are we doing for all that time?